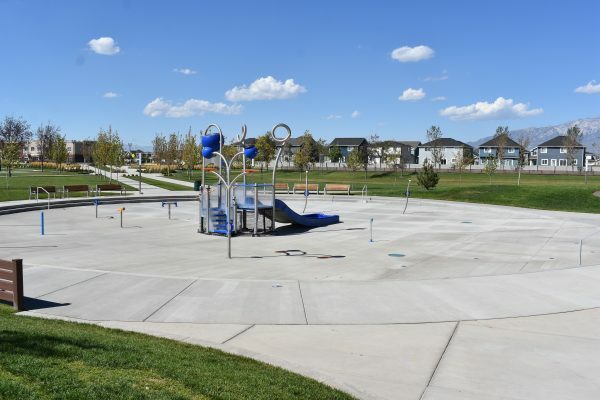 Vineyard has an amazing park and splash pad. 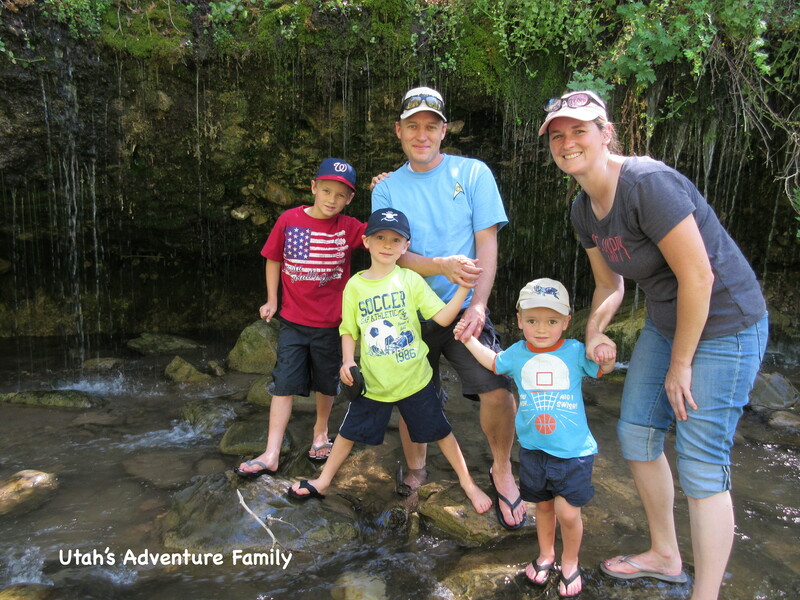 We ventured down to Orem to check it out. 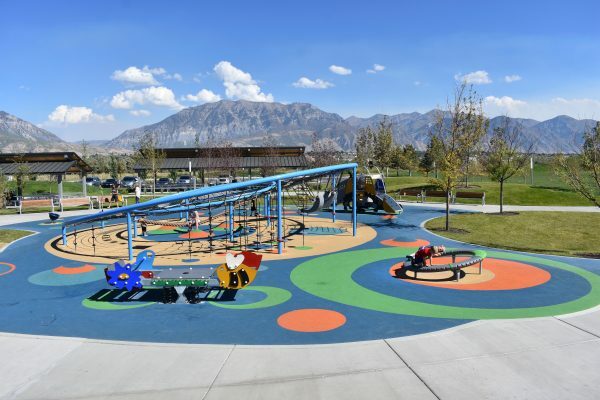 Vineyard Grove Park and Splash Pad is found in Vineyard, which is a community west of Orem down by Utah Lake. 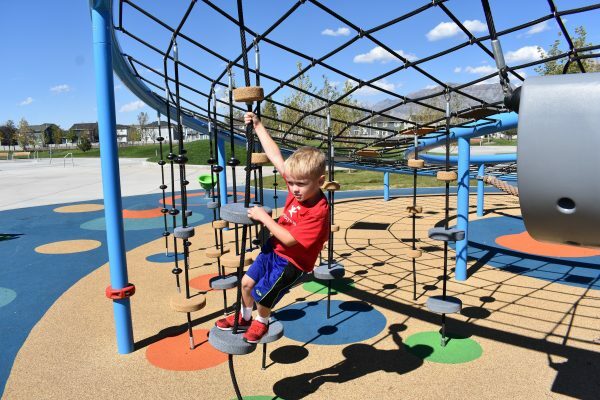 Vineyard Grove Park has a unique playground. 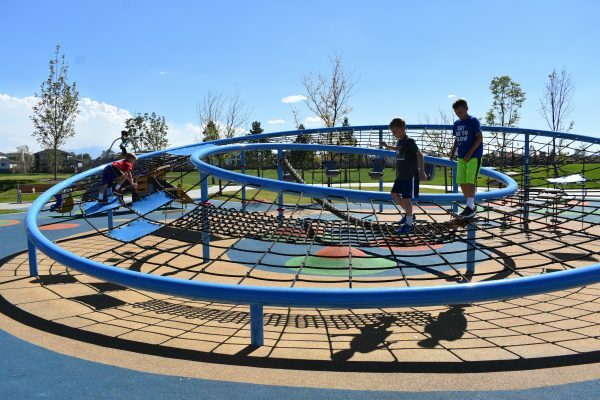 It has a large circular climbing toy for kids to explore. Our boys thought it was so cool! They had fun walking around on the ropes, and then exploring underneath. There are some climbing ropes and seats under the spiral. 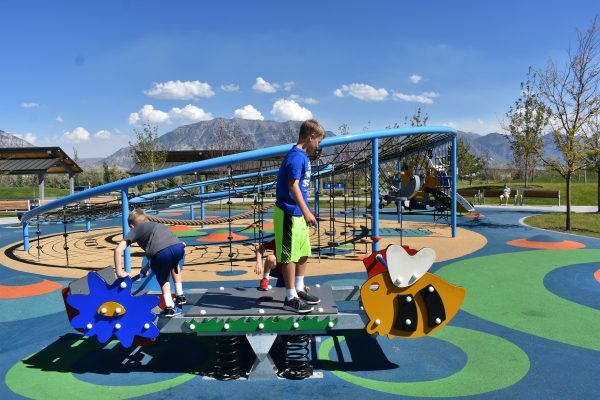 We have never seen a playground that looks like this. 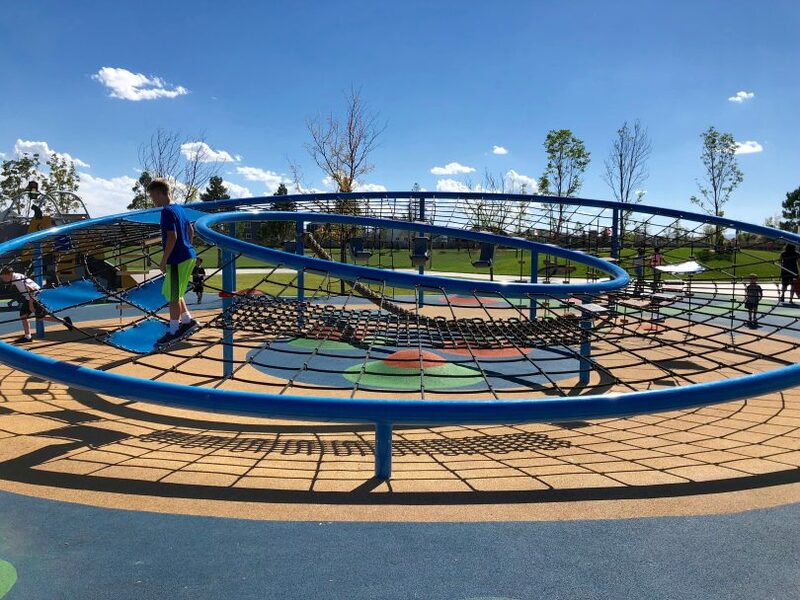 This unique circular climbing playground is a lot of fun! There are toys under the climbing area, too. Around the outside of the main there are little toys like spinners and rockers to play on, too. There is also a small toddler playground for those kids who can’t quite climb on this large spiral climbing toy. 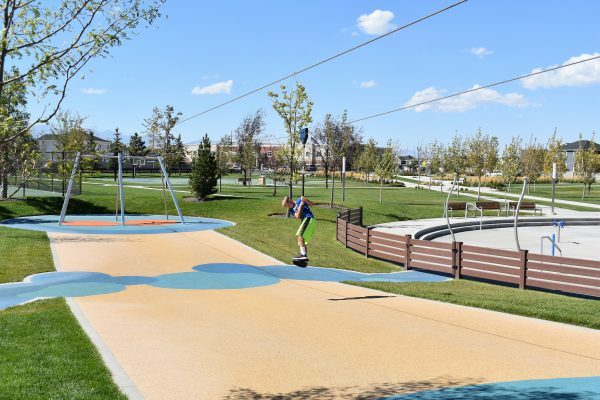 There are little toys around the main playground and a small toddler playground. This playground has the nice foam flooring. 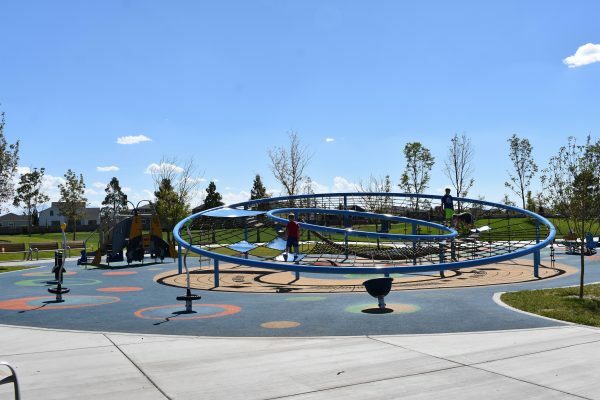 Vineyard Grove Park has some other fun things to play with as well. There is a zipline, which always entertains my boys! They love riding the zipline over and over again. 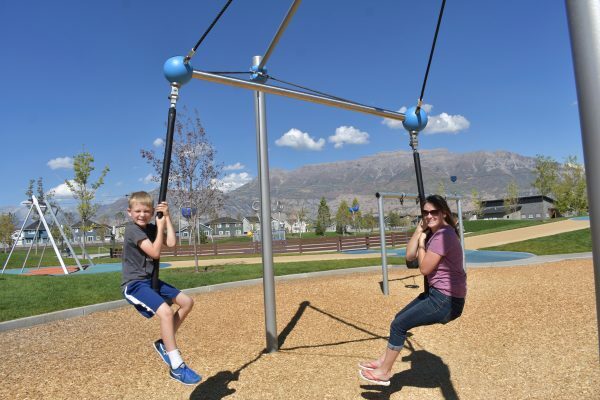 There is also a play area with a variety of swings for the kids to try. The zipline is always popular! This area has bark underneath. There were some spinning toys and swings in this area of the park. Mom had to try this toy out. The splash pad looks like it would be a lot of fun. Unfortunately we were there after the water had been turned off. 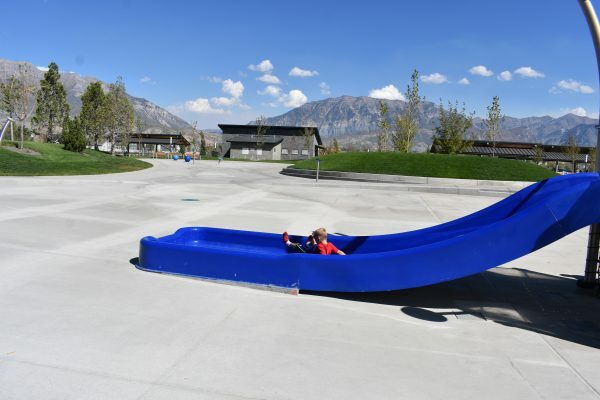 There is a huge slide to go down, which we slid on dry, as well as a large area for a river-type splash pad. 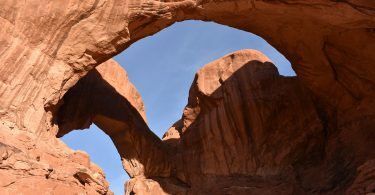 We can’t wait to check it out next summer. The is the splash pad area with some sprayers and a slide. The river area is quite large. We can’t wait to see it in action. 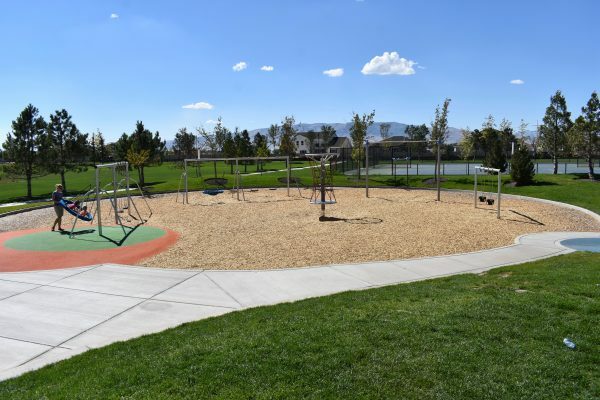 This park has two large pavilions, basketball and tennis courts, bathrooms, drinking fountains, and a large grassy area to use. 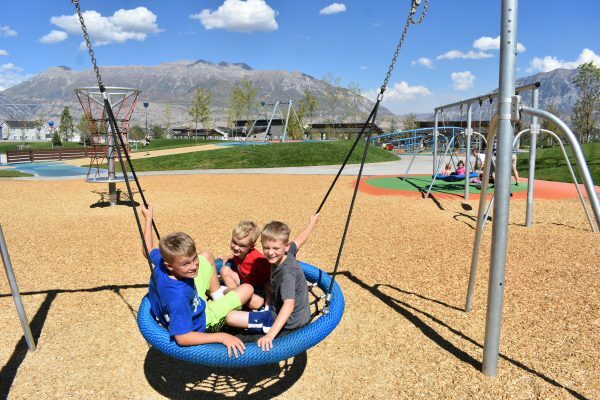 Vineyard Grove Park is a fun place to spend an afternoon. 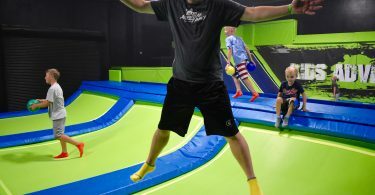 It’s located at 300 W 100 N Orem. 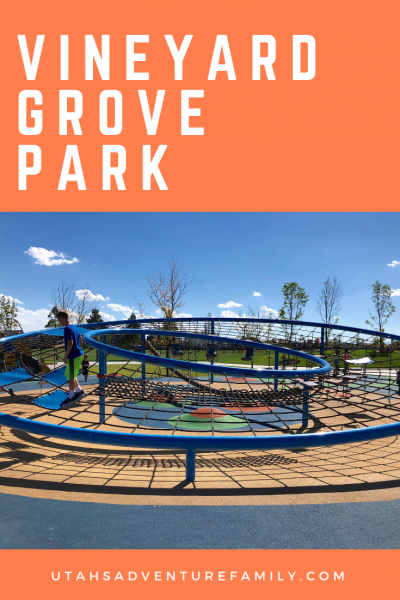 Vineyard Grove Park is a fun playground!